Congratulations to Tyent USA, LLC. They have won our coveted “Ionizer of the Year” award. Tyent’s MMP-9090T shines against the competition. We have tested all major brands in various categories including. Tyent won top honors in virtually every category. Keep in mind, this was for above counter models only. That being said, Tyent’s brand new UCE-9000T swept the under counter category as well. Tyent has come so far in a such a short period of time. Their products are great and their customer service is stellar as well. We called a cross section of Tyent Authorized Dealers and they all said business is booming. That is no surprise, because the water ionizer industry is valued in the billions and it is only going to get bigger. The Evontis ELITE water ionizer was the closest thing to the Tyent products when it came to high scores in all categories. Runner ups included the KYK G2 and some Alkalux models as well. We will be releasing more details of our test results in the future. 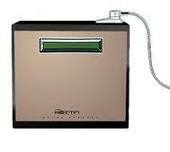 For now, if you can afford it, Get a Tyent Water Ionizer Machine, you can’t go wrong. Have been using the Kanagan system thru a friend…amazing results and already have 4 others interested. It is amazing….just watch http://www.kangendemo.com…what are the sizes and costs of this Tyent product????? 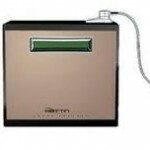 You can often find Tyent water ionizers on sale for $2,195 to $3,495 – depending on the model. MUCH less expensive than the Kangen/Enagic models – better warranty, better filtration, easier to use and you can customize every preset. They’re tall – but they’re skinny – leaves plenty of counterspace in front of the unit.